1. You can make Korea's No.1 refreshment - chicken by yourselves. 3. 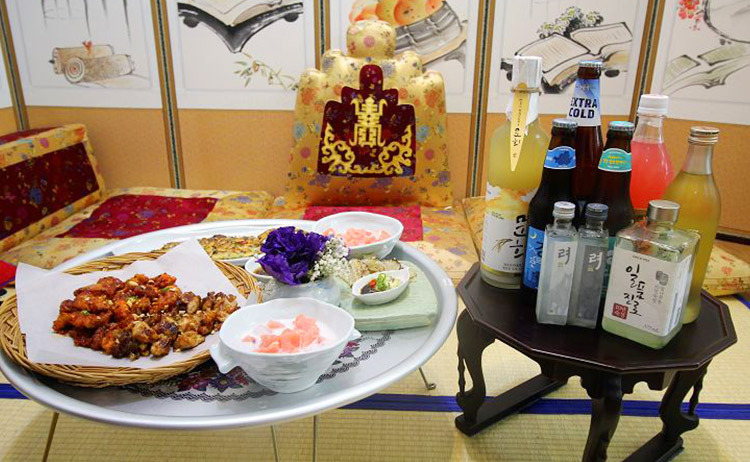 Learn about Korean food culture starting from the ingredients. 4. Have an interesting Korean food-making experience with other foreigners. ※ Only the English lesson is available until 15th June. "OME" in OME Cooking's Lab represents the five different kinds of tastes in Korean food. Experience the interesting cooking class with the five different kinds of tastes in OME Cooking's Lab. Buy ingredients directly in Korea's traditional markets and cook the food yourselves. Also, you can make Korea's No.1 refreshment - chicken by yourselves. • The worldwide famous Korean combination - chicken and beer! Taste the chicken made by yourselves and have a cup of alcoholic drink! 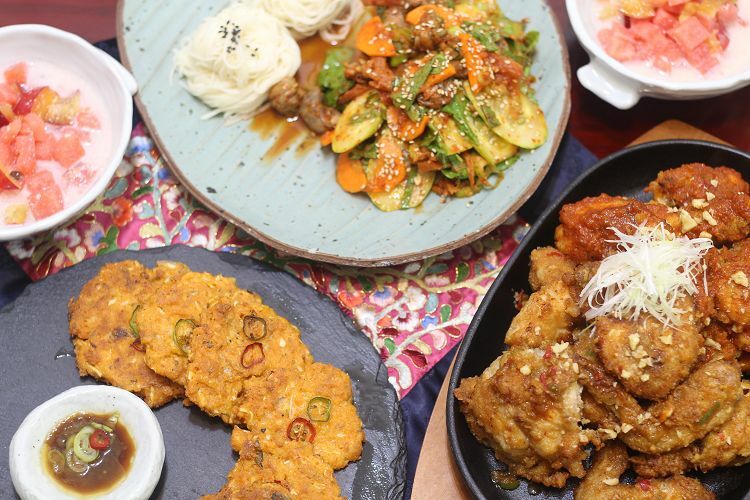 It is a special cooking class where you can learn the methods of making chicken, Korean style pancakes and dried bar snacks, as well as to taste Korean soju, beer and makkeolli. • This class is only for those aged above 18. 1. Reserve the time and date you want. 2. Check the mobile voucher or email voucher sent to you. 3. Please double check if there is any email sent from the CS Team before the experience date. 4. Please be punctual and arrive at the meeting place. 5. Tell the staff your name and start the experience! 1. Please arrive at least 5 minutes before the reservation time. 2. If you cannot reserve a certain date or time, please contact the CS Team through email. 3. Companions are not allowed to look on. 4. Only the English lesson is available until 15th June. 5. Those aged below 36 months are free of entry. Q. I think I will be late. What should I do? A. Please contact us if you think you will arrive late. You may not be able to join the experience program if you are late without prior notice.